A Cute Businessman clipart made in more than 100 poses with a transparent background. 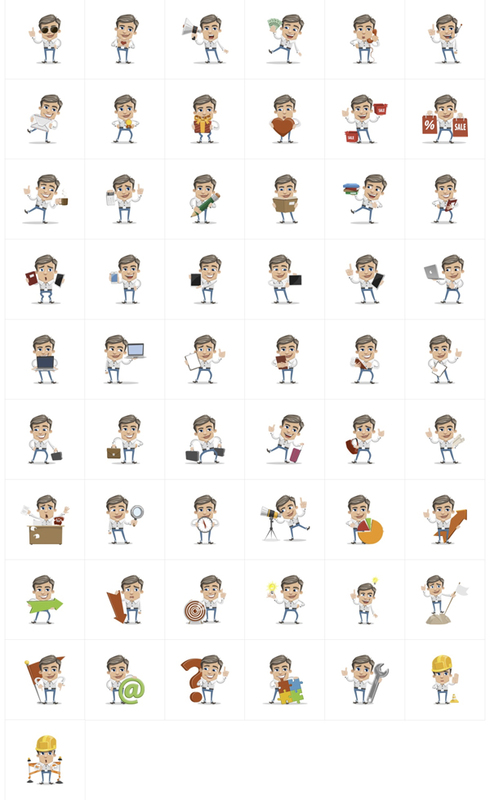 This Clipart collection includes a businessman made in 112 different clipart poses. There are 30 Emotion cliparts, 55 business concept cliparts, 15 presentation cliaprts and 12 great clipart made with background shapes.